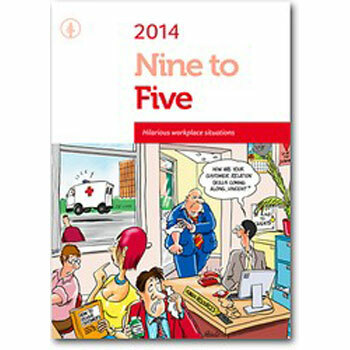 The Nine to Five novelty calendar is a useful promotional tool, displaying a companies logo or information in a prominent position on the target audiences wall. This highly entertaining cartoon date and memo calendar, depicts a lighter side of working life. The 12 leaf calendar, is a postage saver calendar and therefore is smaller in size and is an attention grabbing and fun gift.